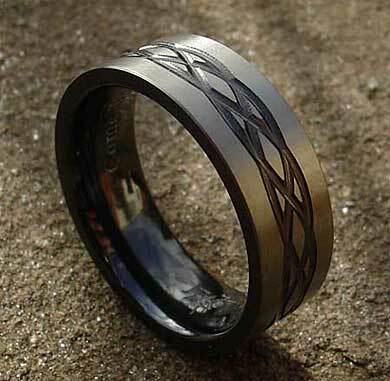 Men's Celtic Knot Ring : LOVE2HAVE in the UK! 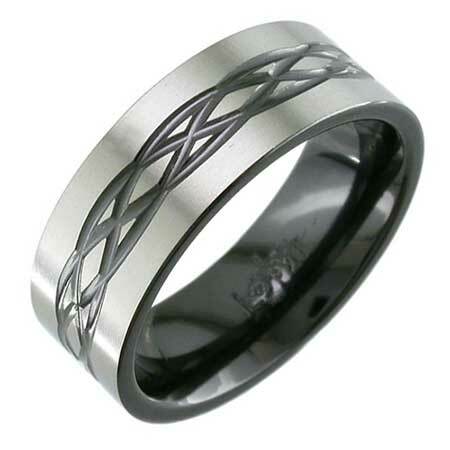 A 6mm or 8mm width, flat profile men's Celtic Knot ring with a contemporary black Celtic interlaced style engraved pattern. 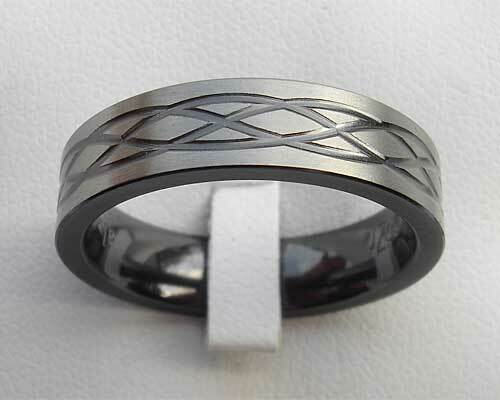 The engraving is a very contemporary styled version of the Celtic line of life. The patterning is black while the outer surfacing is grey. 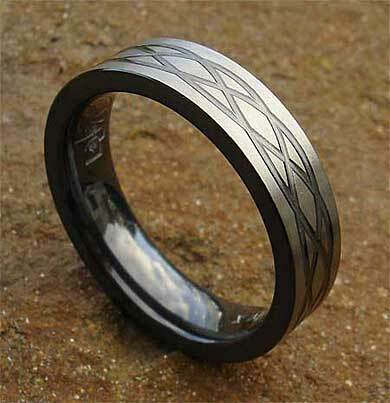 Other wider widths of this ring are also available, so please contact us for further details.